19 permanent and 1 seasonal. 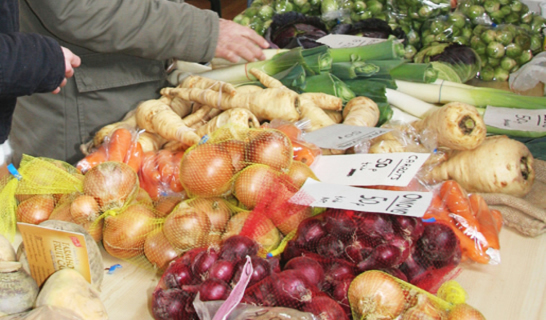 Hildenborough Farmers' Market was started in 2008 and has grown steadily with an average of 20 stalls each week. We are able to offer a wide range of fresh local produce of high quality at competitive prices. Additional seasonal items, e.g. asparagus, soft fruit and flowers, are also available. Our friendly team of volunteers is available at all times to lend a hand. To complete your shopping experience visit our tea and coffee lounge for refreshment in a relaxed and friendly atmosphere. What’s happening at the Market. Phew! As the saying goes “be careful what you wish for”. How many times have we all wished for Mediterranean weather when our camps, picnics and outdoor events were marred by rain, but as I write this, at nearly 10.30pm with the temperature still 20° we have been enjoying just that, but beginning to wilt just a little. We picked our redcurrants at least two weeks earlier than usual and Andy’s strawberries and early raspberries have been amazing. I’m a great salad lover – nothing to cook – just cut and serve, well, except a good piece of fish maybe. How easy to marinate a piece of Mikey’s salmon before popping it into the oven for 20 minutes. We have also enjoyed lately some great swordfish steaks and some hake, but if you feel really lazy just treat yourself to a fresh dressed crab and you only have to take it out of its wrapping! If you were lucky enough to have bought some of the freshly pressed olive oil from one of our occasional stallholders a few months ago, what more could you want to complete your summer meal. Another stall to bring to your attention is Stephen and Valerie Marshall with their speciality teas and coffees. They have been with us a little while now but are often slightly overlooked. Their loose Rooibos Red Tea – naturally decaffeinated and with a good fresh taste – is so much more flavoursome than in teabags and actually goes quite a lot further. Delicious with or without milk. They also sell a variety of fruit teas (even a Hildenborough blend!) and coffees. We will be serving a selection of their coffees and teas in the coffee hall in future so look out for them and give them a try – most importantly, afterwards, do go and buy some! Hopefully you will all receive your magazine in time to catch the first of our summer activities for our younger visitors. May I make a big plea at this stage: we absolutely love all our activities for young people during the summer and are really happy to provide these free of charge, but the idea really was that we are hands on with the youngsters so that the adults can support our stallholders and then perhaps have a cuppa. Unfortunately, things don’t always turn out as you plan – we are sad to say that whilst we have great take-up for the activities and coffee, somehow the stallholders don’t receive the same attention. I hope you don’t mind me mentioning this. 31st July 2018	A Fun Science Workshop – with Gary Poleykett - making simple science toys to take home. Fun spinners and beginners’ animated toys. 7th, 14th 21st 28th - Cooking for Kids. 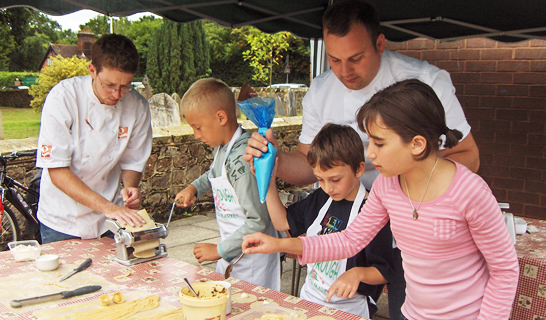 For those who are new to the Market, this activity is held every August enabling our young visitors to be ‘hands on’ and to go home each week with something they have prepared and cooked themselves. This year we will be making Tarts; Rosti (grated potato cakes); Scones; Salads and dressings (or something similar.) We will also be having a lot of fun. At the initiative of one of our regular customers, Julie Brodie, over the last few months we have had a box to receive postage stamps in our coffee hall on behalf of Hospice in the Weald. We know that you all hold this charity close to your hearts and now we have to thank you all for your kind donations. Julie dropped off the first boxful a couple of weeks ago and would like you all to know that she has received a letter thanking all our customers for their kindness and continued support. We will keep the box there so remember to keep bringing your stamps. Hildenborough Farmers’ Market is now into its 11th year – it was June 2008 when Dame Kelly Holmes opened the Market and we launched with such enthusiasm. Lots of things have happened and lots of people and stalls have come and gone, but the Market Team of helpers and our loyal core of stalls do still share that enthusiasm for local produce and the community. 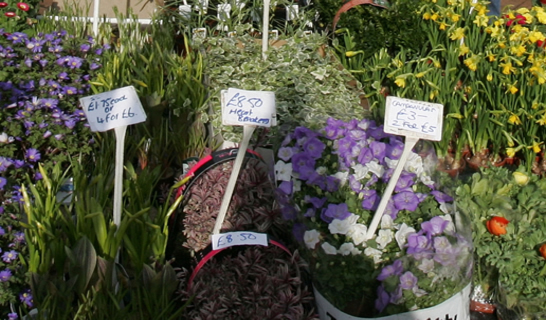 Without doubt there are many people in Hildenborough who come regularly to the Market to shop. There are also our regular supporters who enjoy a cup of coffee and meeting with friends. We continually seek to keep the Market vibrant, viable and interesting, but to do this we do need the support of more regular shoppers. Although we use the Church Hall and enjoy the support of St. Johns’ Church, we are not financed or subsidised by the Church. Our costs and outgoings continue to rise; rent, insurance, advertising and general expenditure all have to be met. We already have the reputation of being the one of the friendliest Farmers’ Market in Kent, so why not come along and buy some of our fantastic local produce. Our prices and quality offer excellent value for money on your doorstep. The Farmers’ Market is a real community asset but it’s only with your support we can keep it that way.